Hand-dyed with "Chu-sen" (dye penetration) method at a long-established tenugui factory in Takasaki city, Gunma Prefecture. "Chu-sen" dyed design is reversible on the backside. The Gunma tenugui's design is vintage and old day spirit. Rare product not prevalent yet in the overseas market. Please enjoy the simple and traditional touch. Notice 1: Every tenugui is folded in a plastic bag for shipping. Notice 2: If you are looking for an approximately 100 cm long Kendo Men tenugui, please check the dimensions listed below. Most of our tenugui are 90+ cm long. 90cm length tenugui would be still good for kids and ladies, but 100 cm length may be more suitable for adult men. All of our tenugui are created by "Chu-sen" dye (not pigment printing) method and they remove sweats very well, even if the design looks decorative. The teugui brochure HERE (4.8MB PDF) shows you our demos dressing up a room with tenugui. Dry in shade. Don't bleach. Don't leave in water long time, or colors may fall. Wash with like colors. Both of the edges of shorter sides are not hemmed (have frayed edges). However, the fraying will end after several times washing. For custom-tenugui inquiry for your Kendo club, please fill in the form here. We will make your original design tenugui for your team. About tenugui, please visit our article here. Colors dyed on a tenugui tend to be intermediate, blur and not so vivid. Enjoy the old fashioned colors. 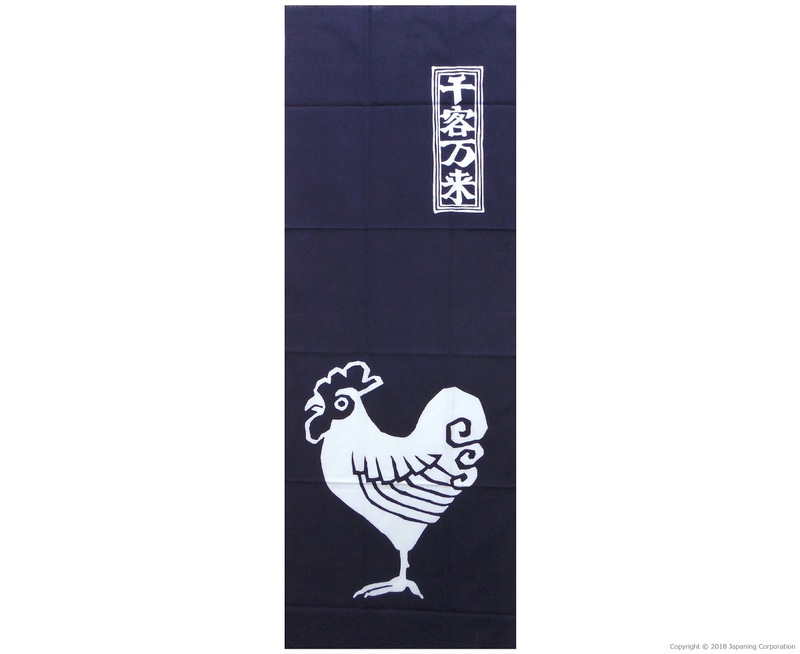 OPTIONAL ACCESSORY - Tenugui display rods available HERE (separately selling). Our recommendation for displaying tenugui.